Singapore vs Hong Kong: which metropolis should you visit? 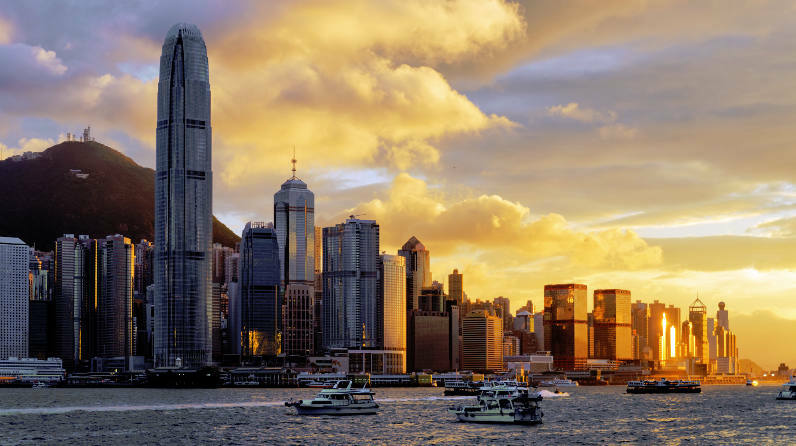 Hong Kong and Singapore are two of Asia’s most popular and intriguing destinations. There is no doubt that they have similarities, but beneath the surface these are two very different cities each with their own unique charms. So if you’re planning a visit to a metropolis, which one of these amazing cities should you choose? Here we take a look at them both to help you understand which one might be perfect for you. In terms of things to do both Hong Kong and Singapore have a fantastic range of attractions. It could be argued that Hong Kong’s selection is more varied. Starting with the sights, there’s a little bit of everything here from awe-inspiring temples and pretty colonial architecture to dazzling skyscrapers. The Wong Tai Sin Temple offers a fascinating insight and introduction into Hong Kong’s heritage. Get away from the city centre and you can also find unexpected wonders; the verdant Lantau Island has exceptional hiking trails. And the Hong Kong Disneyland is easily accessible – definitely worth a visit. Singapore has developed into a cultural hub in recent years and if you’ve got the time, you shouldn’t miss the ArtScience Museum at Marina Bay Sands. Art lovers will be in their element too with notable galleries including the Singapore Art Museum and The Substation, the country’s first independent contemporary arts centre. Both of these cities are known for being a paradise for shoppers, so if you like to indulge in a little retail therapy, either can be the perfect destination. Singapore has some of the world’s most impressive shopping malls with everything from designer boutiques and outlets to thriving bookshops and state-of-the-art electronics stores. One of the real joys of Singapore is having a browse through the many antiques parlours – try wandering down Orchard Road as many of the malls here have large antiques establishments. With no sales tax and some of the world’s wealthiest customers, it’s easy to understand why Hong Kong is such a popular shoppers’ destination. You’ll find everything from the swankiest upmarket stores in the IFC Mall (located inside a skyscraper) to the frenetic and fun Ladies Market. Another similarity between Singapore and Hong Kong is the excellent standard of their medical care and facilities. In general Hong Kong is much more expensive than Singapore. The tap water of both cities is safe for drinking, although many visitors and locals still prefer to opt for bottled water. In terms of vaccinations for Hong Kong, it’s generally recommended that most travellers have routine vaccinations as well as typhoid and hepatitis A. In Singapore, it may be recommended that you are additionally vaccinated for issues including yellow fever, cholera and Japanese encephalitis. Thankfully in both cities the risk for malaria and dengue fever is very low. It’s also true that both have hot and humid climates, and one possible advantage for Singapore is its greater abundance of green spaces which can act as a lovely area to get a breather away from the bustle. No matter where you are you should make sure that you plenty of water throughout the day. Singapore and Hong Kong are two true gastronomic hubs where you can anything from multiple Michelin starred restaurants to tiny stalls serving up delicious street food. Hong Kong specialises in Chinese cuisine of virtually every variety and individual restaurants usually cater towards a specific food such as dim sum or noodles. The Soho district of Downtown Hong Kong is particularly well known for its eating outlets. One unique experience in Singapore is to visit a hawker centre – these are cheap and popular complexes with hundreds of food stalls meaning you can order just about anything you fancy. But this is a city that has more than its fair share of delectable restaurants too, serving virtually every kind of food you can think of from around the world. The mix of Malay and Chinese communities has brought out some truly remarkable fusion cuisine. If you’re in the mood to splurge, Summer Pavilion at the Ritz-Carlton is a special dining treat. Singapore once had a bit of a reputation for being a little austere and uptight, but times have changed and this is a city that knows how to have a good time. Zouk is well known as one of the world’s most popular superclubs and it is worth going to for the experience. Friday night is the ‘going out’ night in Singapore so prepare for busy bars in the centre of town. Most of the nightlife in Hong Kong is concentrated into specific areas. The central district and Kowloon are both hotspots, but it certain areas there is almost nothing in the way of bars or pubs. Make sure you take the opportunity to go to one of the many rooftop bars – don’t miss Fu Lo Shou, definitely one of coolest spots in town. Previous post Travel danger in southern Thailand – How to keep your wits about you Next post Is Air Rage a Symptom of a Deeper Air Travel Malaise?